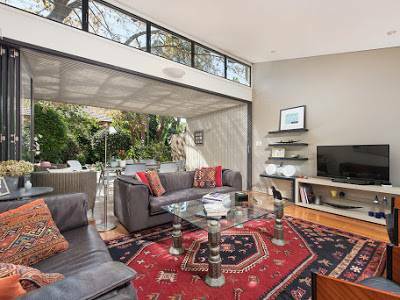 A big and beautiful large and and comfortable historic is an ideal home for families wishing to explore Sydney from a central location. It is truly the most amazing location with level access to 3 ferry stops with the closest a 3 minute amble. The city is 3kms away as is Sydney Harbour Bridge. The beautiful Balmoral Beach and the lovely Mosman Village are 2kms away with Manley Beach and Bondi both being about 7kms away. The area is very green and leafy and the harbour front walks are truly incredible. They go from our house for 55km up the coast hugging the bays and secluded beaches. Mosman village is possibly the most charming high street still in existence with all the shops and restaurants you may need. The house has a separate self contained apartment that is on the ground floor adjacent to the pool so if there are multiple generations it works brilliantly. Location, quiet but so close to the action ! Kid's playroom - just perfect for a little one ! We have done lots of swaps from London and now live in Sydney so open to anything.